The only solace is her music class, but even there she can’t seem to keep it together, sabotaging her grade and her one chance at a meaningful relationship. It takes a hard truth from her only friend before Amy realizes that she has to come to terms with her past, before she destroys her future. Easy read book but then wonderful and inspirational. I personally love the flow of the story, and I feel every emotions that flow from it. This story is not just a simple story which happen inside the book but it really happens in real life. Some people are walking in a wrong path because they were left behind by someone they love and it feels like life is a waste for them and they kept blaming other people, and they're not open to listen to everyone. At first, I didn't like Amy's attitude, I kind of hate her for hating her dad, it makes me question myself why hate your parents? It's your parent/s. Hating them will not solve the problem, and much more drinking alcoholic beverages will not solve everything. I don't understand why some people hate their parents, I just wanna ask them what will you feel if 10, 20, 30 years from now you'll have your own child and they will hate you? Moving on, Amy is not a bad girl, she's just lost and drinking alcoholic beverages has been her company. She home schooled because of her dad's gigs and she doesn't have friends to accompany her instead she have her dad only but in her perspective, he chooses his job over her. When she was sent to her Aunt Lou's house, she started going to school and met new friends. Out of her dad's guidance, she still drink a lot and go to parties. She met Luke in school and instantly fell in-love with him, and Nick is a music lover guy which she intend to push away because she doesn't want to have a boyfriend who's in to music. Things kept changing during her stay until things get worse. Such a nice book, I will never get tired reading this because at the end I will still get inspired and learn so many things from Amy's life. It's complicated but then you will learn a lot. 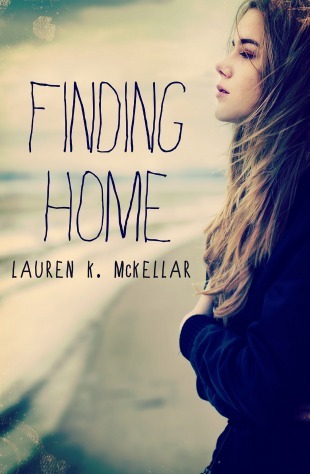 Another thing why I like this book is because of it's title "Finding Home" it's catchy and I was really curious what is it all about and I didn't expect it to be this beautiful. The cover also catches my attention simple and pretty at the same time. Not just me but everyone should try to read this book, if ever someone you know is kind of like this or experiencing the same kind of thing, maybe you can help him/her. Being a nice person is not bad as long as you'll not make fun of the situation, caring is different from being bossy. "Acceptance is the key to be truly free"
Lauren K. McKellar is an author and editor. Her debut novel, Finding Home, will be released through Escape Publishing on October 1, 2013. 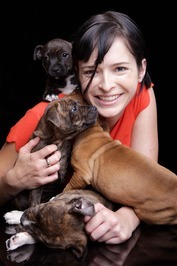 As well as being a magazine editor for a national audited publication on pet care, Lauren works as a freelance editor for independent authors. She is also a Senior Editor for digital romance house, Entranced Publishing. Lauren is a member of the Romance Writers of Australia and is obsessed with words--she really likes the way they work. She lives on the Central Coast of New South Wales with her fiance and their two fur-children.